For the safety of all animals and staff at Chrissy's Castle of Critters, we have developed a comprehensive screening process and require that we meet all dogs prior to their stay with us. This is a vital and necessary part of ensuring a safe environment for all guests. WE DO NOT TAKE AGGRESSIVE DOGS. This type of kennel-free facility may not be suitable for all pets and Chrissy's has the right to refuse certain dogs based on their temperament and/or behavior. 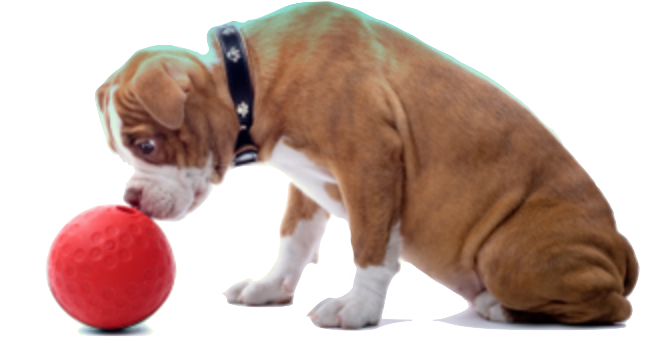 We realize that all dogs are individuals and may act up or not be on their best behavior during evaluation. Not to worry - our staff is trained to look for specific items, so your dog is not expected to be "perfect" upon presentation. WE DO NOT ACCEPT ANY BRAND NEW DOGS DURING OUR VERY BUSY TIMES SUCH AS PRESIDENT'S WEEK, SPRING BREAK, THE MONTHS OF JULY AND AUGUST, OR CHRISTMAS WEEK. All dogs must be on flea/tick/heartworm preventatives. We are extremely strict on this policy and THERE ARE NO EXCEPTIONS. In addition, you must be prepared to show proof of purchase of these items if asked. All required forms must be filled out and signed and proof of vaccinations must be submitted prior to any dog staying at our facility (Go to the FORMS page to find out which forms you will need for each type of service and to download those specific forms). Payment: One half (50%) of the total is due at the start of service - remainder due at conclusion of service. If your pet is staying at our facility more than one day, the day of drop off is considered the "Start Date," and the day you pick up your pet is considered the "End Date." Owner must pay in full for both of those days regardless of the times of drop off or pick up. Upon receiving our invoice, payment is expected in full regardless of any discrepancies, and if at a later time it is determined a refund is due you, the refund will be given at that later time. Additional fees: Our prices include all aspects of animal care and there are no additional fees for administering medications or special / extra play time, etc. There are, however, extra fees involved if we are instructed by you to purchase special items for your pet while you're away, for pick up / drop off service, baths, etc. See our complete price list for more information on these items. Cancellations must be made no later than 48 hours prior to the "Start Date" or a $15.00 "Late Cancellation Fee" may apply. Check In / Out times: Because Chrissy's is a private boarding facility, check in/out times are on a strict appointment basis only, and for the safety of all animals we do not allow any unscheduled visits. Please be respectful of this and stick to the agreed upon time for drop off or pick up. Appointments for dog interviews must be made in advance. We do not do any interviews on a walk-in basis. Holidays: A $10 charge per pet will apply on Holidays. Although our facility is closed to the public on the days listed below, please be aware that our staff is on duty caring for all animals 24/7/365.